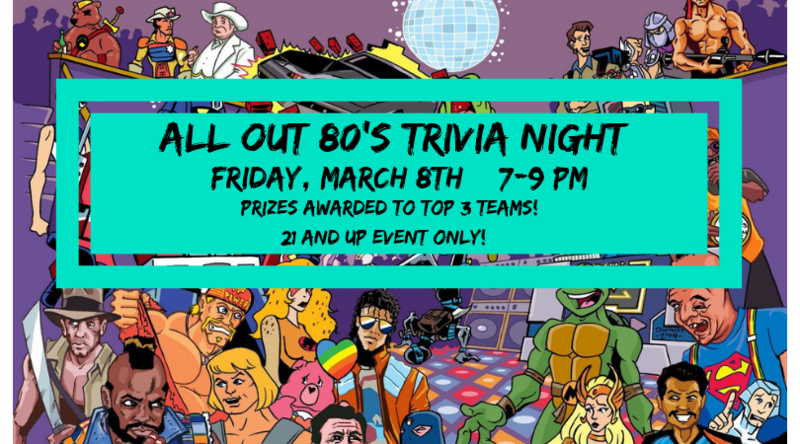 Take a chill pill, this trivia is going to be totally tubular! Join us for our monthly trivia at WHV! This month’s theme is all things 80’s! From pop culture, to movies and music and everything in between, we will be here to test your knowledge of all things 80’s! Prizes awarded to the top three teams. This is event is free and 21+ to attend. PLEASE CALL TO RE-REGISTER; all pre-registered teams will receive a special offer for pre-registering! Call 717-444-7211 to register your team today!